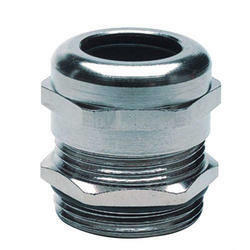 Our range of products include emc cable glands. We have expertise in manufacturing & supplying a broad range of EMC cable glands which is used to provide electromagnetic protection. These glands help in maintaining the electromagnetic integrity of the shielded cable by just tightening the gland. Fabricated from premium quality raw materials these glands are offered at most reasonable price. Looking for EMC Cable Glands ?